First of all, I want to say thank you if you are still reading my blog - sorry for the three week interruption in posting but we've been a little busy. Three weeks ago we welcomed our daughter, Aubrey to the world. 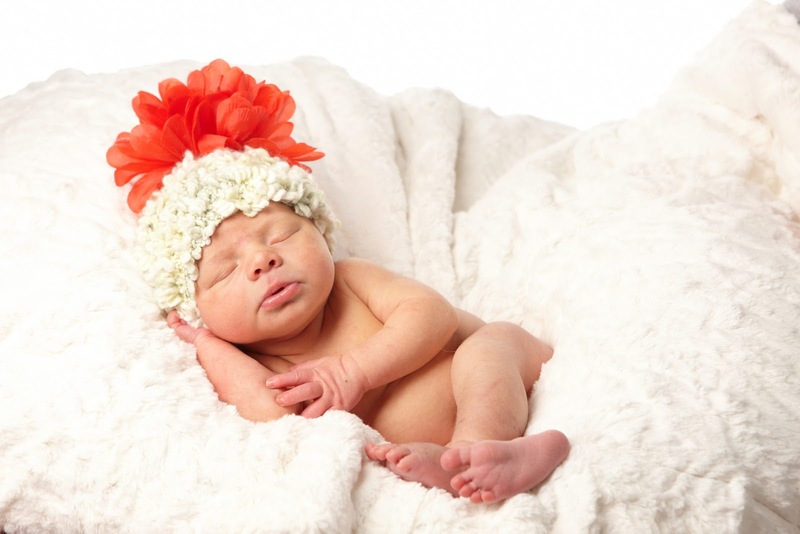 She was born at just over eight pounds the night before Valentine's Day. Since then life has been an amazing mix of staring at our beautiful baby girl, family and friends visiting and a little sleep deprivation so I haven't spent much time in the kitchen. I promise I won't turn this into a blog about Aubrey but I have to share a couple pictures to introduce my little girl. 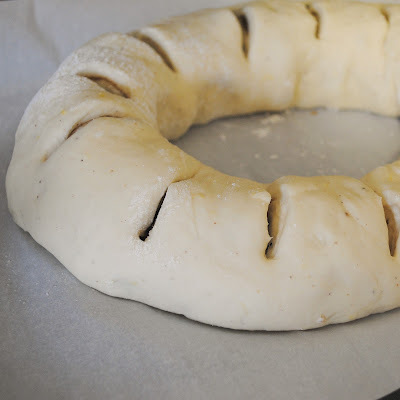 As for a recipe - I finally got around to making a king cake yesterday... something that's been on my list of things to make for at least two years. I always seemed to run out of time during Mardi Gras "season" but got one made just in time this year. We get a few king cakes delivered to the office every year at work which is where I originally discovered this treat. 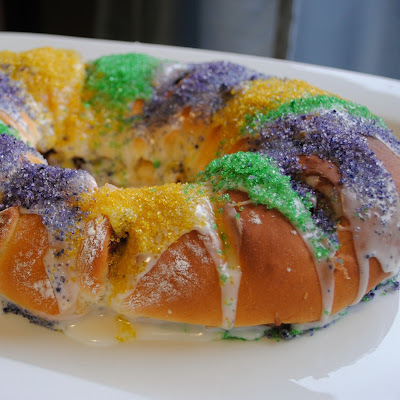 It's essentially like a giant cinnamon roll but baked into a ring-shaped cake and decorated with bright purple, yellow and green sugars for festive Mardi Gras flavor. The dough itself is an easy yeast recipe but it does take a little time. The initial mixing is very simple but make sure to allow about three hours total for rising time. The filling is a slightly modified cinnamon and sugar mixture spiked with a little bourbon and raisins. The icing adds a tart lemon flavor which is a nice mix with the sweetness of the powdered sugar. CONGRATULATIONS TO YOU on the birth of your beautiful baby girl! Congratulations on your daughter! I am waiting an arrival here myself any day now and I hope I will still have the energy to get back into my kitchen!! Congratulations to you on the birth of your baby. She's a cutie! That king cake looks really good. Yours cake looks perfect, great job! 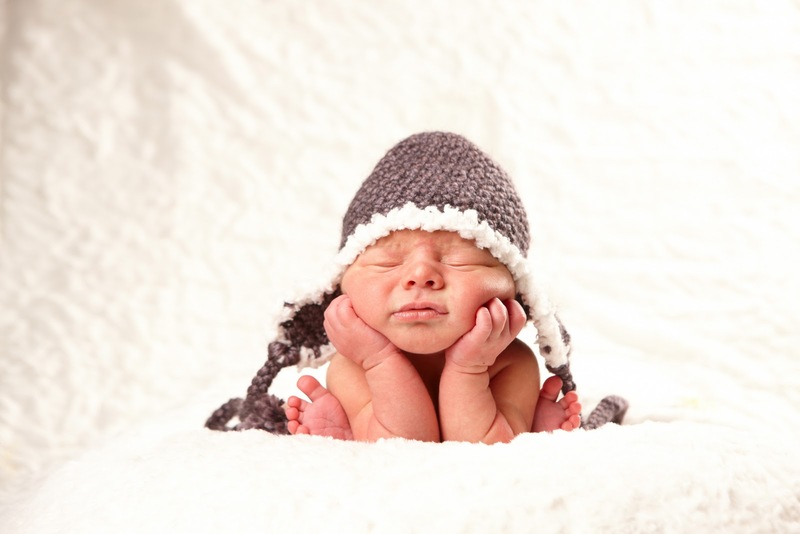 COngratulations on the birth of your daughter-she's precious! Congratulations, girl! Aubrey is absolutely beautiful! Congratulations of the beautiful baby girl! Congratulations! She is just beautiful!!! Your cake is wonderful but that baby girl of yours...too beautiful for words, truly she is. Congratulations!! Aubrey is gorgeous. God Bless! I'm still and will continue to be a faithful reader. I know what it is like, sleep deprivation. Been there and done that! Congratulations! Such a sweet baby and a yummy looking cake too! 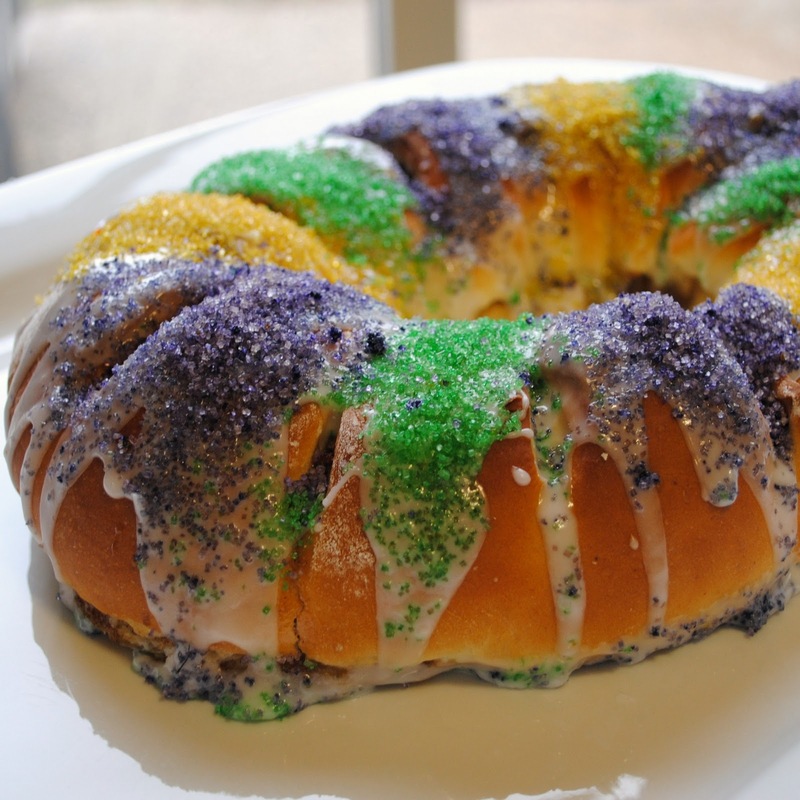 My name is Karen and I have made King Cakes in the past and filled them with different kinds of canned pie filling! 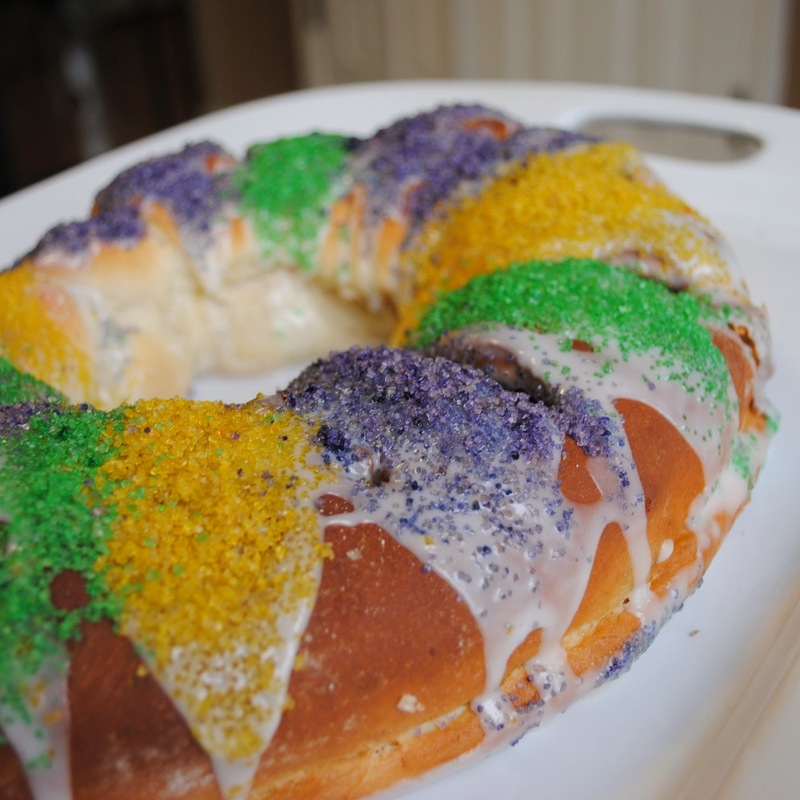 King Cake is so awesome! This recipe reminds me I should do it again and try the cinnamon/sugar filling and also the lemon in the icing! Thanks! 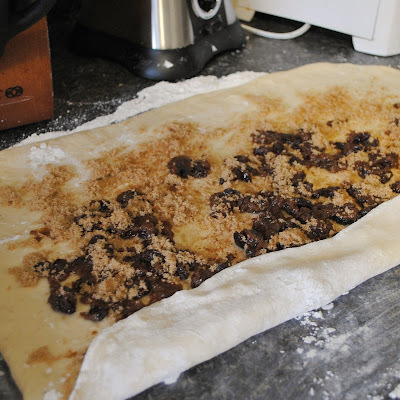 Pie filling would be a great shortcut, I've done it with an apple cinnamon mixture as well and it does turn out delicious. Would be a great summer recipe with a peach or cherry filling minus the traditional king cake sugar decorating!